NIPSCO is awarding 15 local nonprofit organizations with grants—totaling $50,000—to help fund restoration and education projects throughout northern Indiana. Some of this year’s winners include: Challenger Learning Center of Northwest Indiana, Spaceship Earth education programming; City of La Porte Park and Recreation Department, erosion control project; Indiana Dunes Environmental Learning Center, scholarships for the Stewards of Tomorrow; Michiana Area Council of Governments, Partners for Clean Air; Michigan City Area Schools, high school environmental restoration team; Porter County Parks Foundation, Sunset Hill Farm County Park Pond restoration phase IV; Shirley Heinze Land Trust, educational guidebook project; St. Joseph County Parks Foundation, nature education and literacy trail. 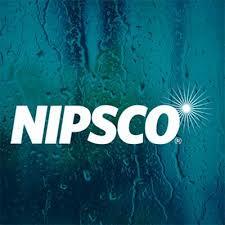 To see what NIPSCO is doing to support the environment, visit NIPSCO.com/Environment.